What is the first thing you look at when you get a new follower? Chances are, you look at their bio to quickly gain knowledge about who they are. This is why having a great bio on social media is so critical. Yet, so many people quickly write a bio and then never think about it again. If you are guilty of this it is ok! The good news is that your bio is not permanent, so you can improve it if necessary. Lets discuss what makes a great social media bio and then you can decide if it is time to polish up the ole bio. Your bio is a powerful asset in regards to connecting with your intended audience. It should go without saying then that it is important to understand your target audience before you can craft an effective bio. If you want to establish yourself as a social media expert, then you need to include the information in your bio that will position you as such. The average attention span for humans is only 8 seconds. That is why it is hard to even read an entire paragraph before we start skimming. When it comes to your bio, keep it short. If you want to get scientific, keep it shorter than 8 seconds worth of reading. 4. Why someone should be interested in you? Creating a great bio can be a daunting task, especially with character limits, but answer the four questions listed above and you will be well on your way to a great bio. The information listed in your social media bio will help you to be found in searches. Incorporating popular keywords and hashtags into your bio is a great way to be found in searches. Not sure what keywords or hashtags to use? Find an expert in your field and see what types of keywords they are using, both in their bio and in their posts. We are all human right? So why do so many people approach social media like robots? If you were hoping this post would describe an exact way to write a bio, you are going to be disappointed. Your bio should reflect who you are. Include relevant information, but do not be afraid to put your own personal touch on it. People will appreciate getting to know your personality from you bio. Keeping your bio up to date is a must! Check your bio at least twice a year to make sure it still reflects the right information. Experimenting with different types of bios is the only true way to decide what works best, so try changing the style of your bio occasionally even if the basic information stays the same. Everyone likes to laugh. If you can accomplish the items written above in a way that is both effective and funny, then you have mastered the perfect social media bio. Social media has become much more professional over the years, causing a lot of the fun to be sucked out of it. Bring the fun back! Chance are, reading your bio will make someones day and they will connect with you because of it. 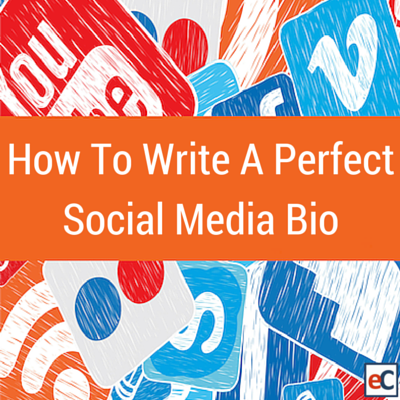 The importance of a social media bio is often overlooked by individuals and brands. Aside from the content you post, there are few better ways to attract new followers than a great bio. It is the first “conversation” you have with potential new friends, customers, business partners, etc. Make sure you make a great first impression! Did we miss anything? Let us know in the comment section! We love learning new tips.